Our Website (“the Website”) is designed to help us provide information to clients on our services and products. 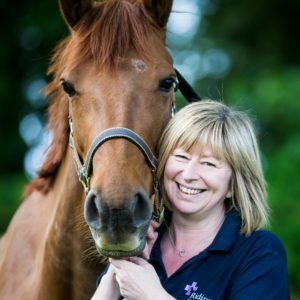 We also provide general information for owners about their horses and a symptoms checker for general advice and guidance. We may also allow you to register your details and those of your horse with us and provide methods to contact us and an online chat facility during our office hours. Ridings Equine Vets is a “data controller” which means we have to tell you certain information when asking for your personal information. Our website contains a number of pages where you can provide us with information, for example if you register using our online form. If you wish to register your horse with us we will collect personal information from you in order to set up an account with us. If you book an appointment for your horse with us, we will collect personal information from you so that we can register you and your horse and provide you with an appointment. If you fail to provide certain information when requested, we may not be able to perform the contract we have entered into with you (such as providing your horse with veterinary services or medication), or we may be prevented from complying with our legal obligations (such as to ensure that we keep the necessary insurance records). Our business partners, suppliers and sub-contractors for the performance of any contract we enter into with them or you if you agree. All third parties who provide services to the Website are required to sign contract requiring them to have appropriate technical, administrative and physical procedures in place to ensure that your information is protected against loss or misuse. We have a company retention policy which laids down timescales for the retention of information. The document retention policy can be found below. You have the right to access information that we hold about you. If you wish to receive a copy of the information that we hold, please contact Jenny Staddon or write to us at the address above. You have the right to request that your personal data is transferred by us to another organisation (this is called “data portability”). Please contact us at at info@ridingsequinevets.co.uk with the details of what you would like us to do and we will try our best to comply with your request. If may not be technically feasible, but we will work with you to try and find a solution. If you make a request to us under this Privacy Statement and you are unhappy with the response, you can ask for the request to be reviewed under our internal complaints procedure. Our internal complaints procedure allows your request to be reviewed by Jenny Staddon MD who will do their best to try and resolve the issue. This website uses Google Analytics to help analyze how users use the site. The tool uses "cookies," which are text files placed on your computer, to collect standard Internet log information and visitor behavior information in an anonymous form. The information generated by the cookie about your use of the website (including your IP address) is transmitted to Google. This information is then used to evaluate visitors' use of the website and to compile statistical reports on website activity for Ridings Equine Vets.